With love for design and an eye for product creation, Style Address and Digital Tadka quickly merged together to form Styletadka. All their products, designed by co-founder Aashima Jain, are inspired by trending themes in current times as well as our day to day lives. You have pop culture t-shirts that are priced at a reasonable INR 499. The plain tees, however, are worth the INR 300, available in an assortment of colours. The doodle tees, which are the costliest apparel on the site, are priced at INR 599. They also have a great collection of stationery, in the form of diaries and planners, luggage tags, pocket diaries, hardbound notebooks and even scribble pads. Apart from this, their quirky collection of fridge magnets, badges, coasters and mugs are sure to tempt even the sanest of you. What’s more, you can make your own gift box for a friend or a loved one. The gift box is priced at INR 2,100 and can be categorised into Humour Gift Box, Hustler Gift Box and Lady Boss Gift Box. If you don’t find what you’re looking for and want to customise your own thing, then drop them a mail at infostyletadka@gmail.com and they’ll sort you out. 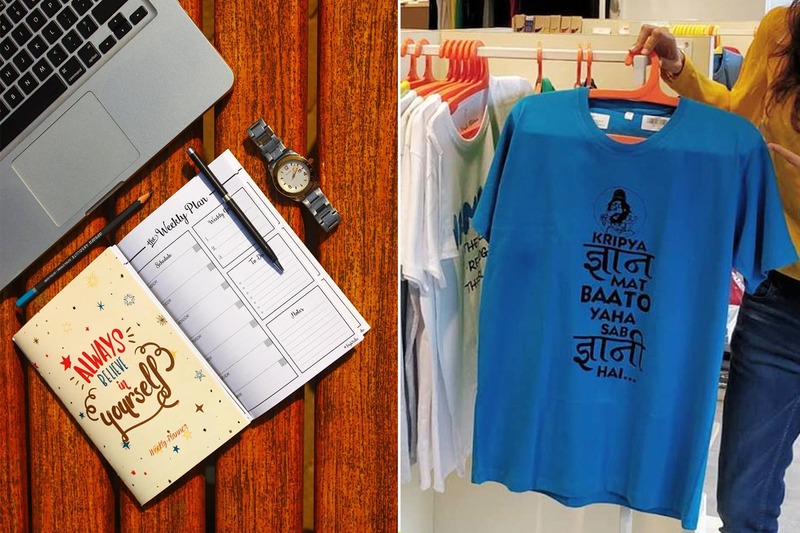 With a wide array of stationery and quirky tees that are sure to boggle the mind, we’ve already had our fun shopping here and stacking gifts to pass around in the near future. What are you waiting for? Explore and have fun gifting.